response tailored on human voice. 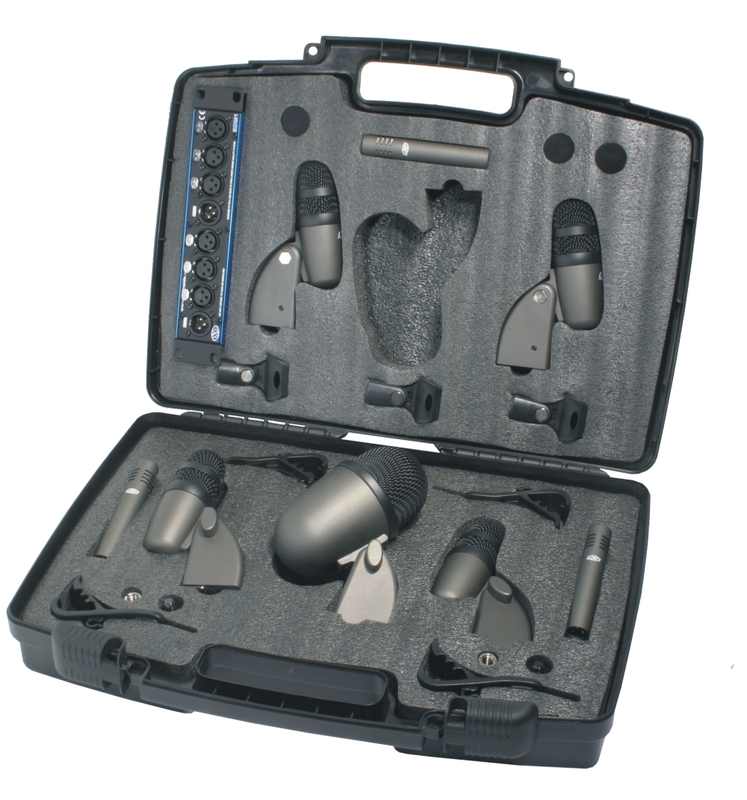 This miniature gooseneck condenser microphones is the perfect choice to capture speech and vocals in environments where budget, value and quality are primary considerations. 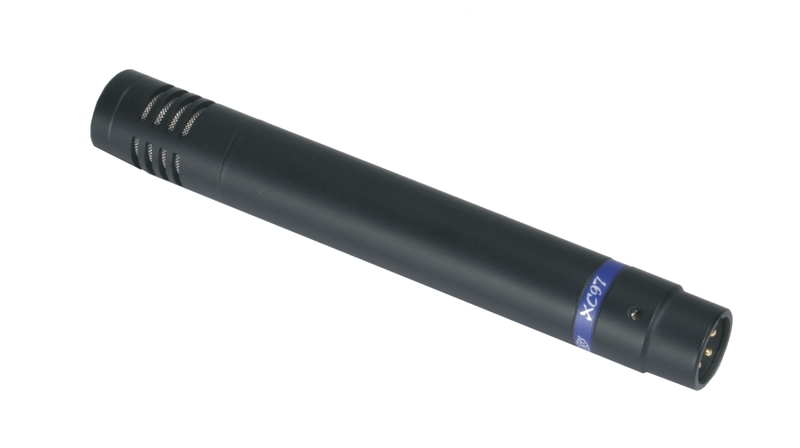 The XC20 is a condenser shotgun microphone that features a highly directional and distant pickup characteristic, suitable for television production and theatre sound reinforcement, spot news coverage, or wildlife recording. 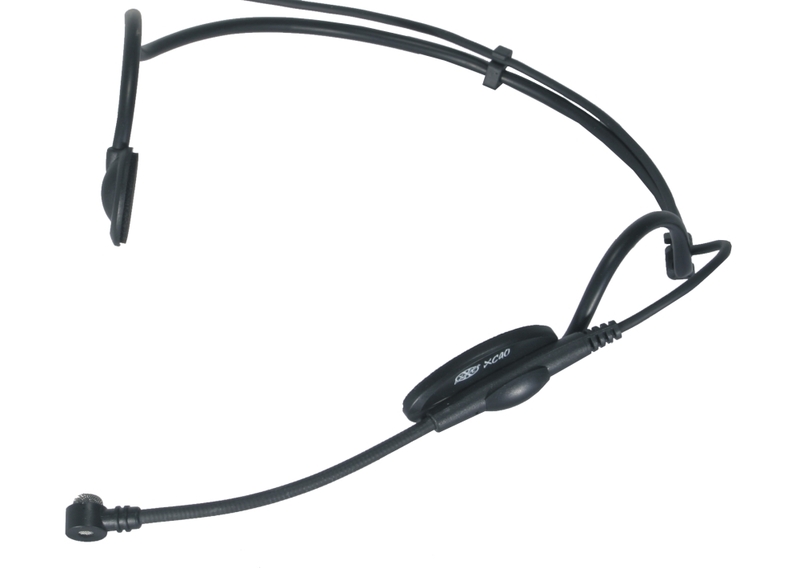 The XC20 separates in distance desired dialogue or effects against ambient background noise. Its frequency response is extremely linear and natural. 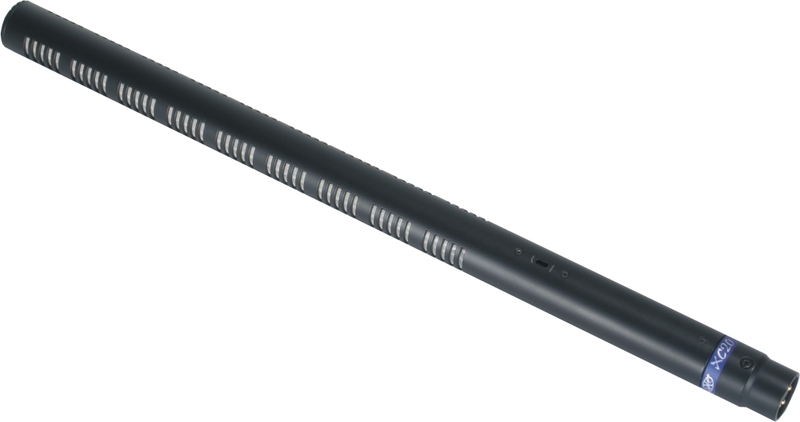 The XC48 is ideally suited for vocal and speech applications which require much freedom of movement. External windscreen reduces noise, skin color reduces visability. Suitable for XRUHF55 wireless system or P48A Preamp. and percussive instrument, and to be used in front of guitar amplifiers. 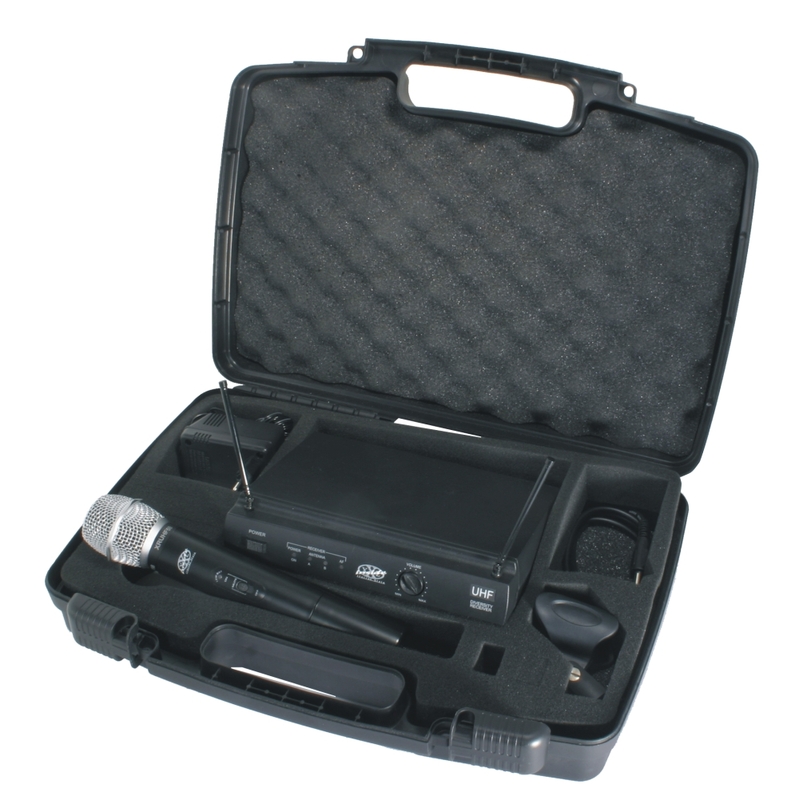 This condenser microphone is the perfect choice for any application where transient content needs to be captured with maximum accuracy. 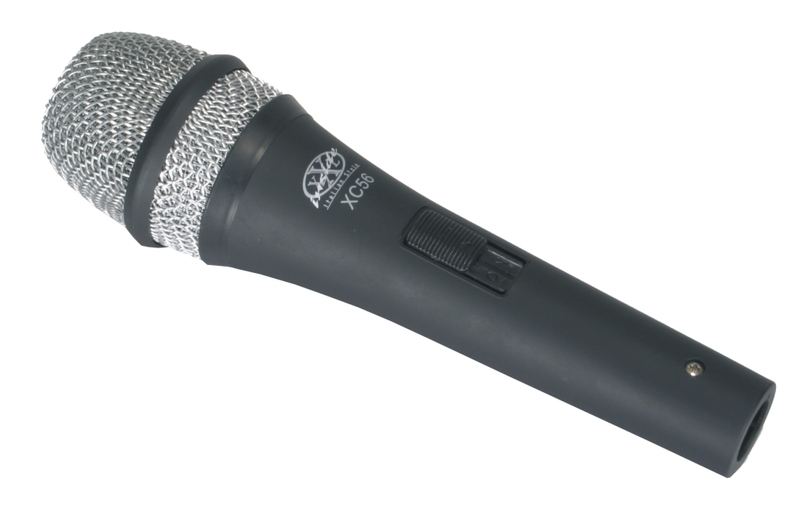 Owing to its extremely light diaphragm, the microphone is highly insensitive to handling noise. 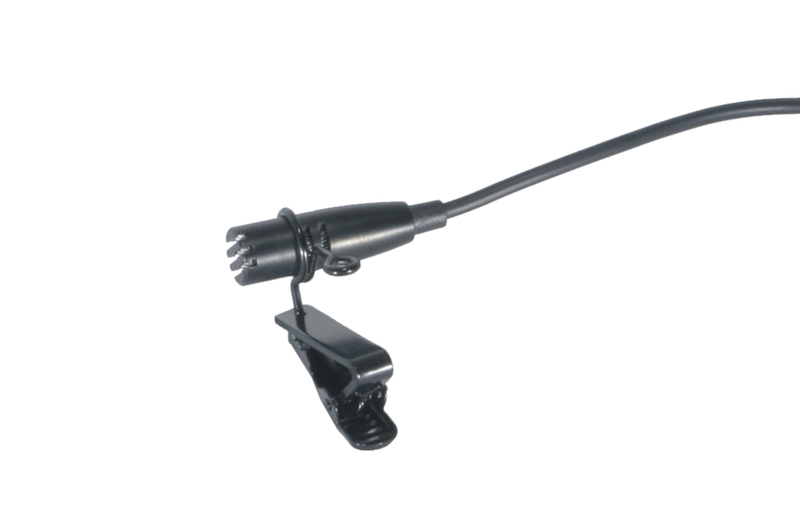 An all-metal body provides efficient protection from RF interference and the microphone is rugged enough to give excellent results even under very harsh conditions. including toms and snare drums. 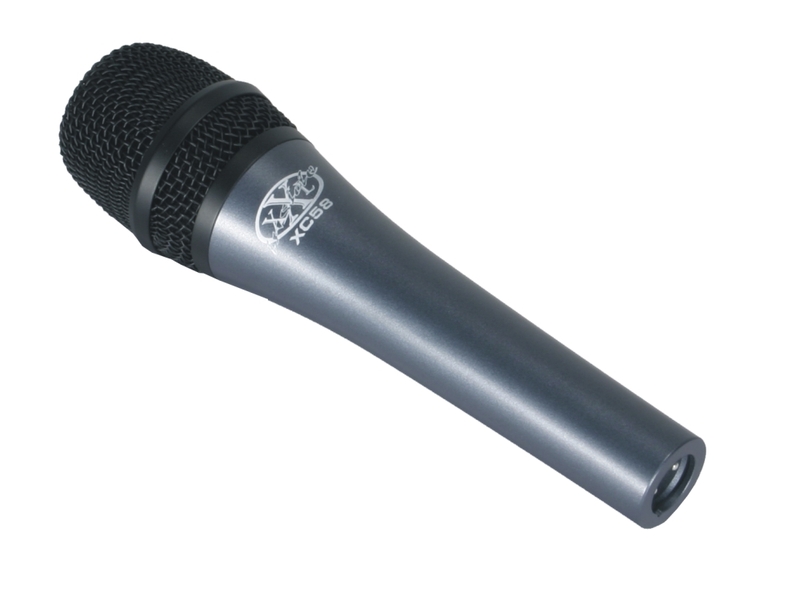 Its Cardioid polar pattern reduces interferences from neighbouring instruments and stage monitors to a minimum. A rubber coated clamp ensures easy attachment to the bell of horns and to drums mechanics. 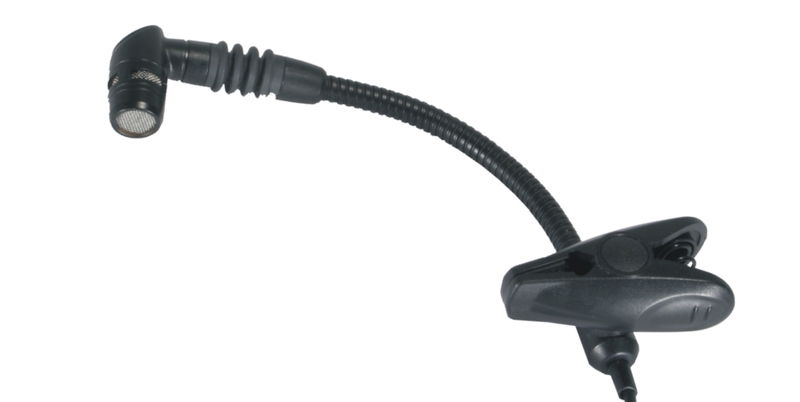 The adjustable gooseneck always allows precise microphone alignment. pick up a voice via the head set dynamic cardioid microphone or an instrument via the line jack input of the belt pack transmitter. 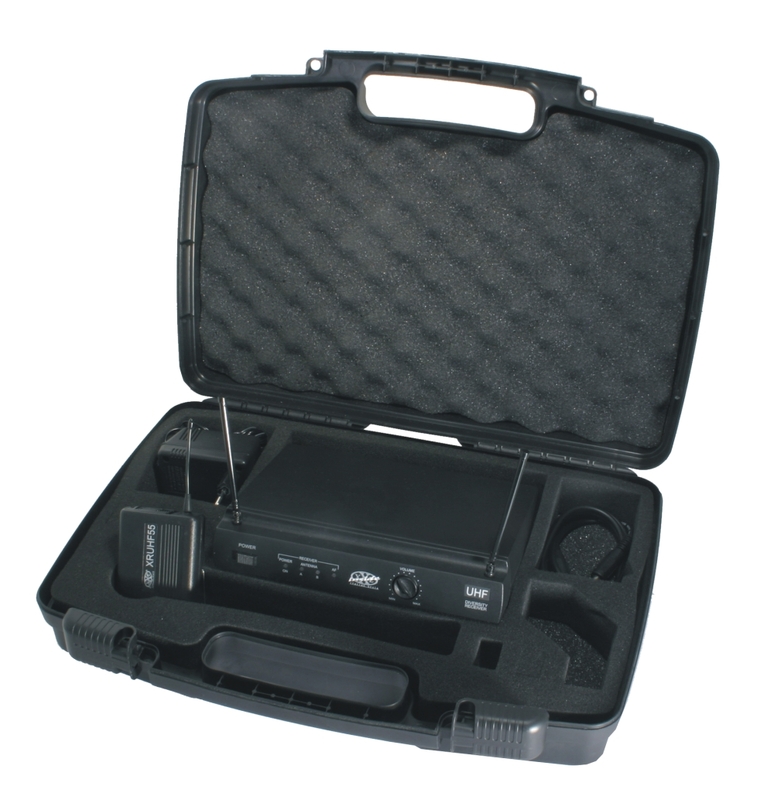 The XR58 is a VHF wireless system with dynamic cardioid hand held microphone and a five channel receiver with radio noise reduction technology in 170-240 Mhz. It is dedicated to pick up voices and high dynamic instruments in near distances. 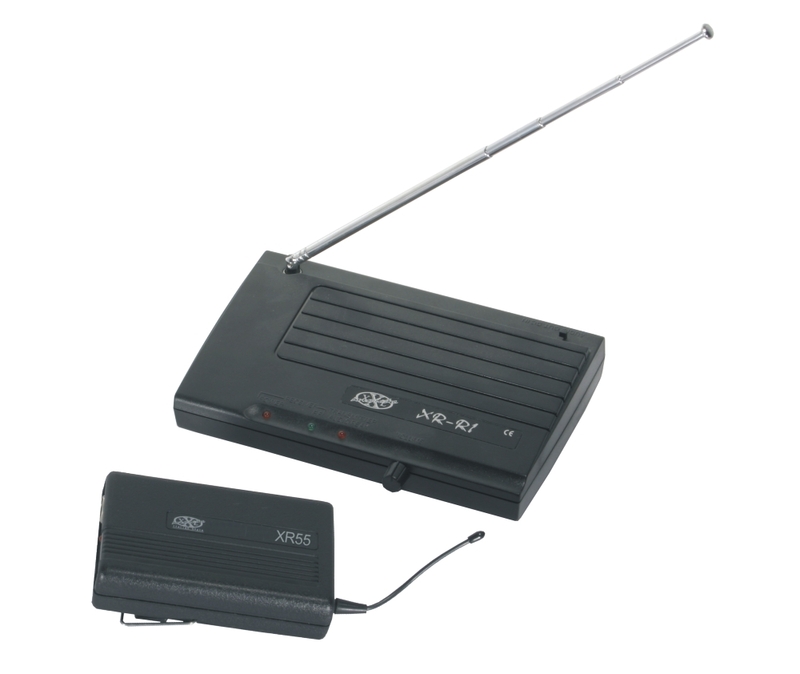 The XR UHF 55 is a true diversity wireless system with a belt pack transmitter and a receiver with radio noise reduction technology in 700-800Mhz band. It is dedicated to pick up a voice via the head set dynamic cardioid microphone or an instrument via the line jack input of the belt pack transmitter. 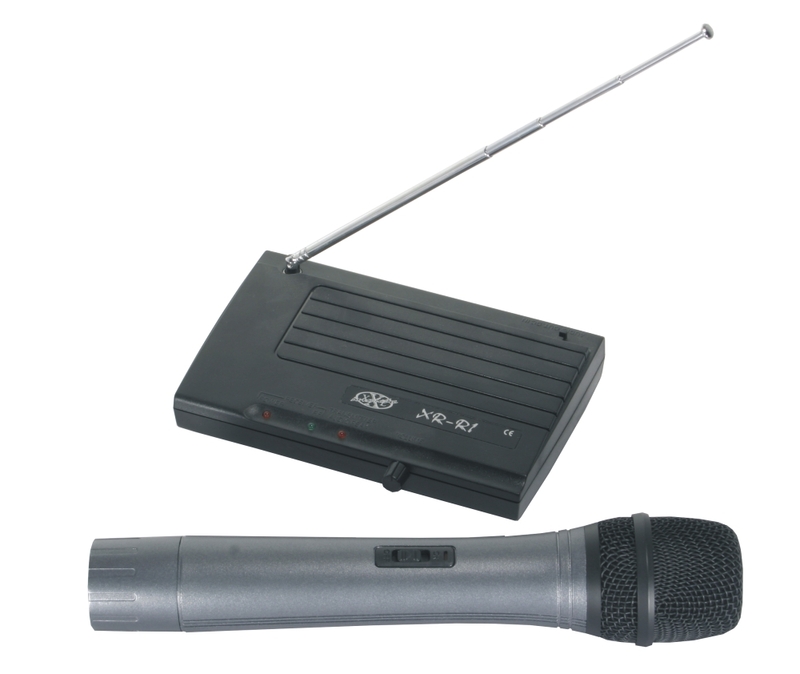 The XR UHF 58 is a true diversity wireless system with dynamic cardioid hand held microphone and UHF receiver with radio noise reduction technology in 800 Mhz band. It is dedicated to pick up voices and instruments in near distances. 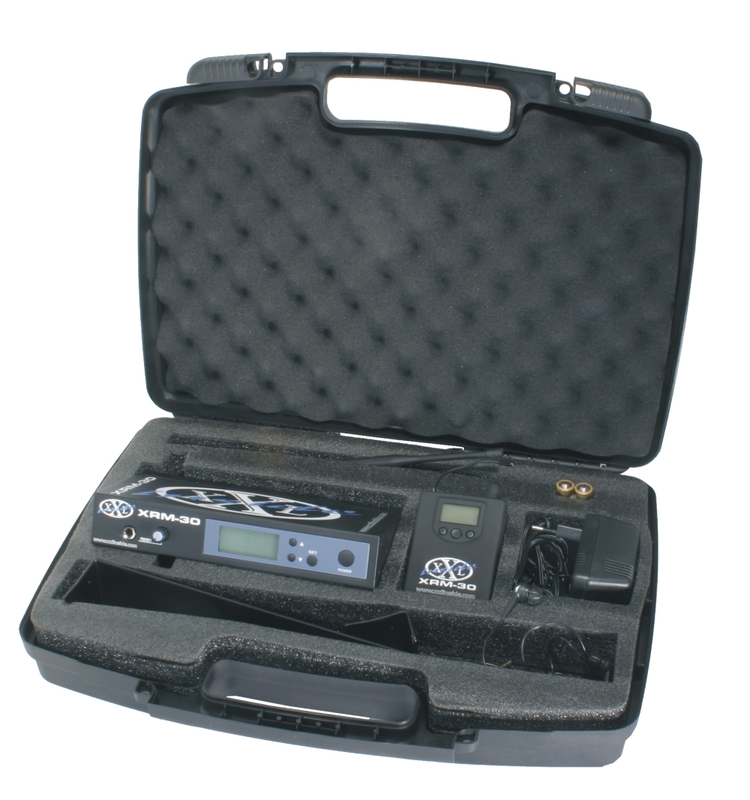 The XRM is a wireless personal monitor system which includes belt pack receivers, high dynamic in ear transducers and radio noise reduction transmitters.